One of my favorites! 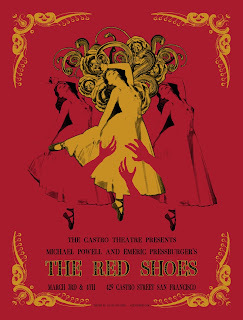 Michael Powell and Emeric Pressburgers The Red Shoes. Playing for 2 nights at the Castro March 3rd and 4th. 19 x 25 inches. Edition of 75.SOLD OUT!! !